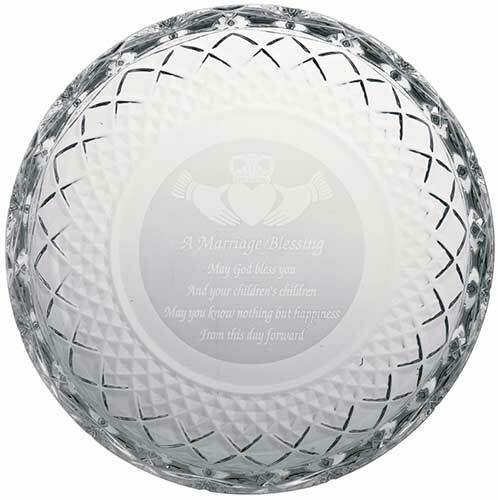 This Irish wedding blessing plate features the Claddagh etched on crystal. With love, loyalty, faithfulness and friendship. 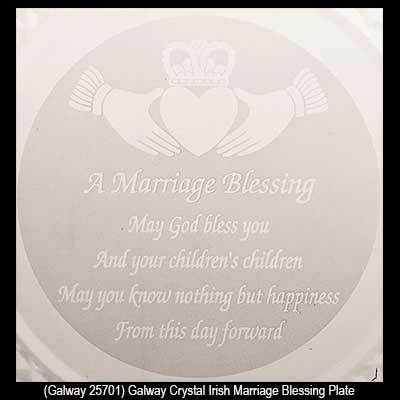 The Galway Crystal plate is enhanced with an etched Irish marriage blessing along with the Claddagh. This Irish blessing plate measures 8" in diameter and is made of 24% leaded crystal. The crystal Irish wedding plate from Galway, Ireland is gift boxed with a Claddagh legend card that is complements of The Irish Gift House.